The Grosvenor Casino Reading can be found right next to the Holy Brook river. This exciting and modern casino offers an excellent location to spend days and nights enjoying some of the best gambling available in the Reading area. Reading is not really a gambling Mecca but a lot of gamblers still come here to enjoy some of the top casinos in the area. The Casino in the southern part of Reading offers a great night out with a comprehensive offering of games and amenities. This is something that can be seen across the board with almost every single Grosvenor casino in the country. Finding your way to and from this casino can be done by following the river or looking for the Magnet shopping centre. It's less than central location does mean that many visitors do not know about it - but locals love heading out to the casino. Opening hours are just what you would expect from a Grosvenor casino - the casino is open 24 hours a day, seven days a week, making it an ideal location for gamblers, diners and drinkers to go and enjoy a good day or night out. This is a casino that offers great food, good games and a good area for drinking where gamblers can relax and enjoy the atmosphere of one of the top casino locations in Reading. The gambling floor at the Grosvenor Reading Casino is one that fills the basic needs of any gambler looking for some classic casino games or a few modern alternatives. Gamblers will find numerous tables that offer American Roulette and Blackjack. Alongside this the casino offers a decent amount of electronic gambling machines, including slots and electronic roulette. The casino prides itself on offering "state of the art interactive screens and retro games". Now - I am not completely sure what they mean by that but last time I checked, retro is cool. The layout of the gambling floor is on that is similar to most other Grosvenor casinos, with the tables being right at the heart of the room and slots flanking the walls to maximize the amount of space for gamblers. The Reading casino also offers a dedicated Poker room, home to some of the most exciting Poker tournaments in the Reading area. Gamblers can enjoy the likes of Texas Hold 'Em and Omaha Hold 'Em throughout the night against some elite UK competition. The Grosvenor Casino Reading has a restaurant which is called the Grosvenor Grill. By this name alone it is quite easy to guess what type of food is on offer for gamblers. Sirloin steak, rib eye steak and fillet stake are used handsomely to create some of the best grilled dishes that you will find south of London. One of the nicer features of the restaurant is the other grilled dishes on offer - including grilled Sea Bass, Salmon and Pork. These dishes are complimented by a few curries, and vegetarian dishes to make it a very comprehensive menu. The casino bar is one of the best features at the venue, with a good range of cocktails, beers, spirits and wines. Head over to this bar if you want to get away from the bustling life of the casino floor. Another nice aspect of the bar is the broadcasting of sports. Many of the major UK and world sporting events will be displayed on one of the many plasma screens spread out across the bar area. This allows the sport-loving gambler to take a short break from the tables and root for his or her local team. 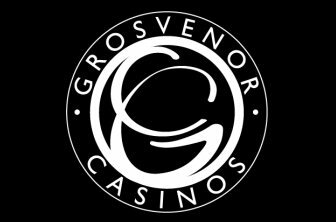 If you have been to a Grosvenor branded casino before you should already be aware of their reputation as one of the top venues when it comes to events and promotions. The Grosvenor Casino in Reading is one that goes above and beyond when it comes to entertaining its customers. With a resident DJ and parties going on until 4 in the morning - this casino really goes all out for a good night. One of the most interesting events - something which we rarely see in casinos - is the Physic Fayre. Fayre and a local medium grace the presence of the casino on a regular basis to provide them with some great readings. Looking at the schedule for upcoming events at the Reading casino we can see that there is something going on at least every other day. This is great for the gambler that loves to have a good night after they have finished playing. If you are looking for tournaments then the Poker room is the place to be. It even hosts some national tournaments on the UK Poker tour, the most prestigious Poker tour in the country. Famous acts from around the country also come and perform at the casino - giving you a great night out no matter what you are in to. The Grosvenor Casino in Reading is a casino that offers a good selection of the most basic things a gambler wants. A few more games would be appreciated but since the most important and popular ones can be found there is not that much to complain about. The food and drinks are a great addition and allows gamblers to make a full night out of visiting the casino. With performances, acts and parties going on every week there is never really a dull moment at this Reading casino. Located a bit outside the city centre the party can continue without disturbing the locals - something that makes it wild to the point where you just do not want to leave.